I absolutely love everything Kate Spade, and right now they are giving an extra 25% off all sale items until 7/6 with code MORESALE. I just got my new Kate Spade purse and wallet from their surprise sale a few weeks ago…and now I want to buy more! I picked out some of my favorites below. Click on the picture to take you to that item. View all of the Kate Spade sale styles here. I hope you find something you love! 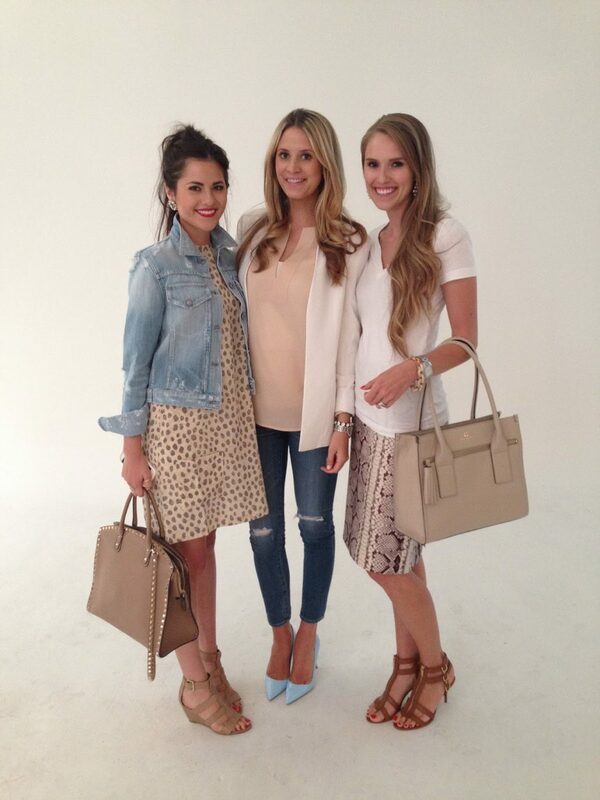 I wore my new Kate Spade bag last night at the Reward Style Back to School night with Rachel Parcell (my darling sister-in-law) of the Pink Peonies and her pretty sister Emily Jackson of The Ivory Lane. My bag is the Southport Avenue Cameron, on sale right now! My Michael Kors ‘Kennedy’ sandals are on sale right now too. They are the perfect height heel so they don’t hurt your feet after wearing them a long time. I can across this photo on Pinterest and was curious where Rachel's dress was from? I'm dying over it!